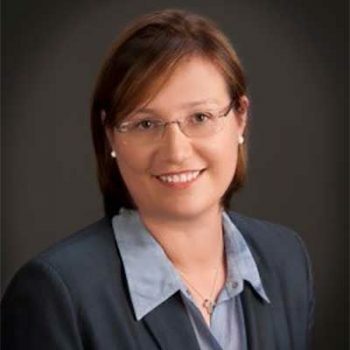 Marina Girju is assistant professor of marketing at the Richard H. Driehaus College of Business, DePaul University. Her main research interests are in studying variation in consumption, and supply and demand factors that affect individual consumer behavior. She has published in the Journal of Retailing and Review of Marketing Science. Since 2002, she has been a reviewer for the Small Business Innovation and Research and Education programs at the National Science Foundation. She has over 10 years of industry experience in various market research, sales and marketing positions with top market research companies and suppliers in the U.S. market. Girju worked in the technology industry, consumer packaged good industries, for the World Bank and not-for-profit organizations. At DePaul, she teaches various marketing classes, including Marketing Research, Predictive Choice Models and Principles of Marketing, with a strong emphasis on current marketing projects, so students can immediately use the theory and practice in their current internships and careers. She speaks fluent Spanish and French and has traveled extensively in Europe, Middle East and South America.